Today was my first real day in Nome, so I was out to discover any thing and everything that I could. One of my first stops was a church that was sponsoring a craft fair of native and local arts. It was truly amazing. There was bead work and fur ruffs for several styles of hoods, mitts, or hats. I even got a hat that was made from sled dog fur and trimmed with muskrat. It is beautiful and soft. I also found a brightly colored kuspuk which is a native design shirt with hood and front pouch pocket. It will be perfect in California anytime of the year. The man that sold me the kuspuk threw in a story knife he had carved from birch branches and designed with native symbols. 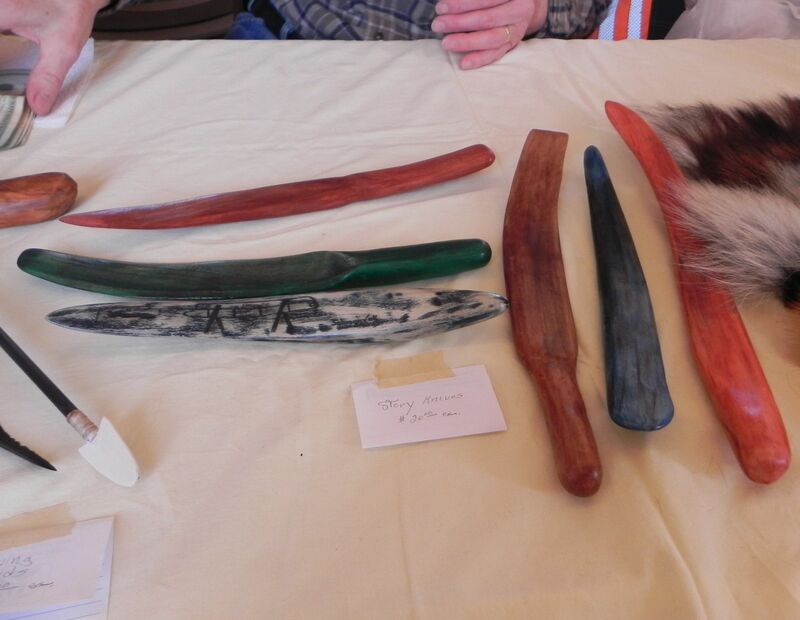 It is a tradition among the Yupik to tell stories that they illustrate in the snow with the story knife. A wide variety of stories could be told this way even in sand, so I thought it would be a good crossover tool. Last year I brought Chinese hacaisacks back from China with me, and my students loved learning how to use them. This year I am bringing back Eskimo yo-yos to test their coordination. 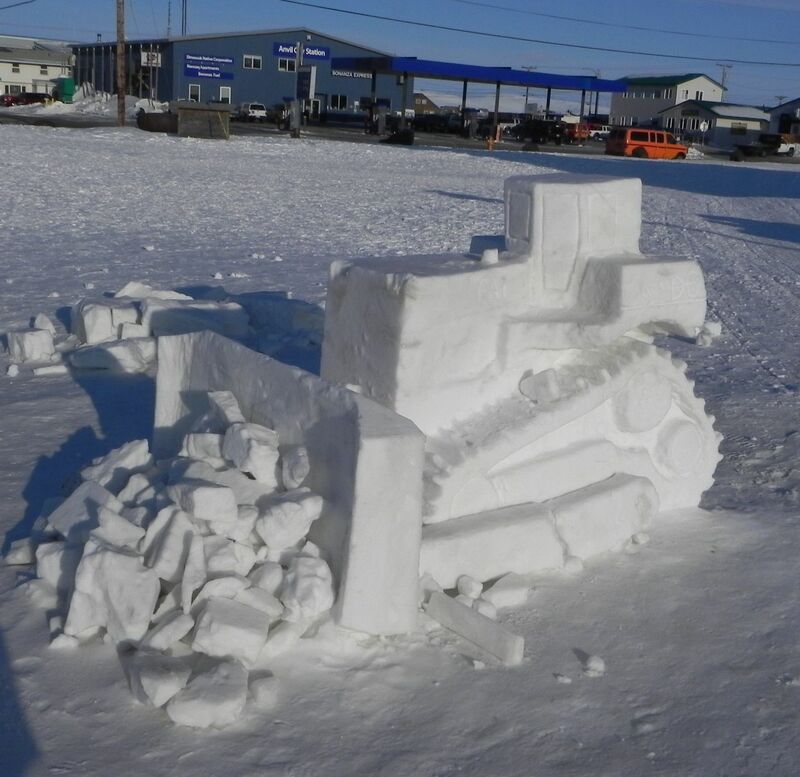 Outside the church were the remains of a snow sculpture competition and my favorite was this Cat Bulldozer, something you might see in my home town, but never made of snow. I topped off the afternoon with a talk by Howard Farley at the museum. 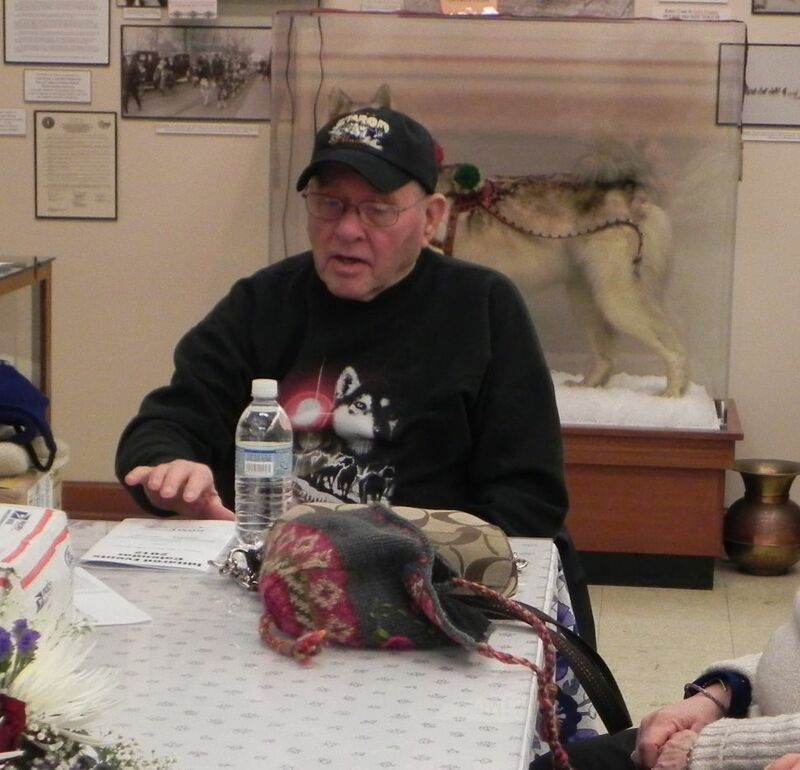 He talked about the early Iditarod Races and how it has grown over the years. Howard shared his own passion for the race and the way that it has become a way of life for so many individuals. If you remember, I wrote a lesson plan last fall for found poetry using his entry in Iditarod Classics. He was inspirational then and even more inspirational in person as you could feel the history and magic that the Iditarod has for him. I am meeting friends for dinner and then off for a basketball tournament that is supposed to be the tournament of all tournaments so I will take pictures and let you know what it was like. Also, Hugh Neff is supposed to come in tonight, so I will try to be there and share that with you too. I don’t think I will get tired of Nome for a while as there is so much to do, so I’m staying and posting here for a few days.